It’s DAY ONE of the Cheltenham November Meeting this Friday and to get us off-and-running the ITV cameras have FOUR LIVE races from Prestbury Park for us to take in that include the Glenfarclas Cross Country – a race trainer Enda Bolger has won 6 times in the last 15 years – and also a contest the 2018 Cross Country Festival winner and Aintree Grand National hero – Tiger Roll – is set to run in. So, as always, we’ve got it all covered here at TQ with all the key trends, plus our verdict, on each of the LIVE ITV races – we’re confident these trends will point you in the direction of a few winners, or at least help narrow down some of the field to highlight the horses that fit the best profile of past winners – So, let’s get GOING! TQ VERDICT: The Paul Henderson-trained DOITFORTHEVILLIAGE (e/w) won this race 12 months ago and with the yard also having landed the last two renewals of this race then he looks sure to give a good account. This 9 year-old ticks a lot of the main trends and is only 2lbs higher than last year, when he won by 2 lengths. A 218-day break is a small concern as last year he’d already had two races before taking this but prize would have been a target for a while and is expected to be fully tuned-up. Of the rest, the Colin Tizzard yard can seemingly do no wrong at the moment, so their Shanahan’s Turn can’t be ruled out but at 10 years old would need to defy the main age stat that has seen 15 of the last 16 winners aged 9 or younger. A Hare Breath is interesting back over fences (2 from 6), plus has gone well fresh in the past and often goes well at the course so commands respect too. The consistent Peppay Le Pugh and recent winner, Movie Legend, are others to note, while Bun Doran is another that has gone well at the track. He’s got the form to go well but just one win from his last 11 starts suggests he’s not an easy horse to catch right. I’ll stick with last year’s winner to give the Paul Henderson camp their third winner in a row in this race. TQ VERDICT: Some huge names have won this race in recent years and we’ve some potentially useful sorts going again this time. The in-form Colin Tizzard yard took the pot last year and will be hoping to follow-up with White Moon. He’s got some decent hurdles form but lost his way at Sandown last December. A recent wind op suggests all was not right but if that has the desired impact and with the yard in scintillating form he can’t be ignored. Nicky Henderson won the race in 2016 and has a strong hand with Jenkins and Mr Whipped. Both were rated highly over hurdles, with Jenkins just having the better mark. He’s also already won over fences, albeit in a two-horse race at 1/25 on. Both should have decent season’s ahead. Count Meribel won well recently on his chase debut too at Carlisle. He goes well for jockey Mark Grant, but it might not be easy having to give 5lbs away to Jerrys back, Mr Whipped and White Moon. Of that trio, it’s JERRYS BACK that makes the most appeal. This Philip Hobbs runner has caught the eye when winning his last two races easily and there should be more to come now he’s tackling a fence. He’s 4-from-4 over hurdles but being a winning pointer in Ireland then the bigger obstacles should be fine. Yes, a 633 day absence is a small worry as he’s clearly had issues. However, the fact connections are pitching him into a race like this on his return is a good sign all is well now, so he might be worth chancing. The Hobbs yard are in cracking form too and Barry Geraghty riding is the icing on the cake. Of the rest, Graasten would have a bit to find on hurdles form with some of these, but the Ben Pauling-trained Le Breuil certainly caught the eye when winning easily at Huntingdon on his chase debut and can go best of the rest. TQ VERDICT: All eyes here will be on the current Cross-Country champ and last season’s Grand National winner – Tiger Roll. Davy Russell rode him to his National success but Keith Donoghue, who won on Tiger over the Cross-Country fences last March is back in the saddle. It goes without saying he’s the one to beat and the reports have been good coming from the Gordon Elliott yard. 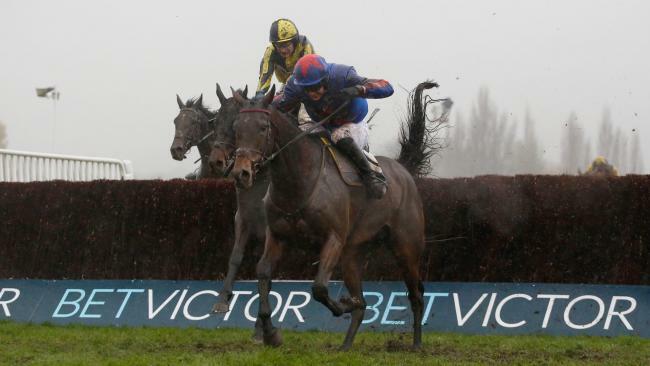 However, the National can be a graveyard race for horses to win – not many in recent years have even won a race after landing the Merseyside Marathon so I’d prefer to take a watching brief on his chance here. We all love the superstars and the past winners here at Cheltenham so I’m hoping the National hasn’t left it’s mark – we’ll see. Russell rides a stalwart in this race – Bless The Wings – who was third in the National and won this race at the December Meeting last year. He rarely runs a bad one here and despite his age (13) is a player. Midnight Shot and Fact Of The Matter are course winners but not over the Cross-Country track. The last-named has schooled the fences recently but having experience in race conditions is key in this race. With that in mind the 2015 winner of this race – JOSIES ORDERS – might be worth chancing. From the powerful Enda Bolger yard that also have a terrific record in the race, he gets a handy 15lbs from Tiger Roll and that will be a big plus. He won this race with 11st 4lbs in 2015 but only has 10st 11lbs this time – a 6lbs difference. A recent spin over hurdles at Galway should have him spot on for this too so even though Tiger Roll might be a hard nut to crack if turning up here in the same form as last year, the value looks to sit with BLESS THE WINGS (e/w) and JOSIE’S ORDERS – who are generally both solid performers in these races. TQ VERDICT: Some promising sorts head to post here but it was hard to not be impressed with the way the Colin Tizzard-trained DARLAC won at Fontwell last time out. As mentioned before the yard are in top order while this 5 year-old was well-backed in that last race and in the end did it very easily (17 lengths). Yes, this will be harder, but Richard Johnson remains in the saddle and with only four career runs there could be a lot more to come now the penny has dropped. Double Treasure is the only course winner in the field and can go well too with the Jamie Snowden yard having started the new season in good order. Nicky Henderson, who also has his horses in decent form, won the race last year and will be looking to follow-up – this time with Pym. However, he was beaten at 4/7 last time out and so needs to bounce back from that. The sole Irish raider – Percy Veer – will be fitter than most with five runs already since August and will have Davy Russell riding, but the main danger can come from Kapgarry. This 5 year-old hails from the Nigel Twiston-Davies yard and so far is yet to finish out of the first two under rules. He was a good winner at Wetherby last time too and being a winning pointer over 3m then the step up in trip won’t be an issue either.